Price — The Nexus 5 starts at $349 for the 16-GB model and asks only $50 more for the 32-GB model. It is sold unlocked and without a carrier contract. If you want an unlocked 16-GB iPhone 5s (or Galaxy S4, or HTC One), you’ll need to cough up about $650 — almost twice as much. The Nexus 5 is probably the best value-for-the-dollar smartphone available today. Because it is sold unlocked, it can be used with just about any carrier you choose. Snapdragon 800 — Qualcomm’s Snapdragon 800 is a quad-core monster. Each core is rated at 2.3 GHz, and the chip is paired with an Adreno 330 GPU at 450 MHz. This chip combo gives the Nexus 5 plenty of power to handle whatever 3-D games you might throw at it, while only sipping power instead of slurping it. Stock Android — The chief benefit of Google’s Nexus-branded gear is that it always gets the newest version of Android first. To wit, the Nexus 5 ships with Android 4.4 KitKat. However, the Nexus 4, 7 and 10 will all be updated to Android 4.4 in the coming weeks. Access to the latest version of Android is key for developers and fun for consumers, who get to try out the new features before most other Android phones get them. 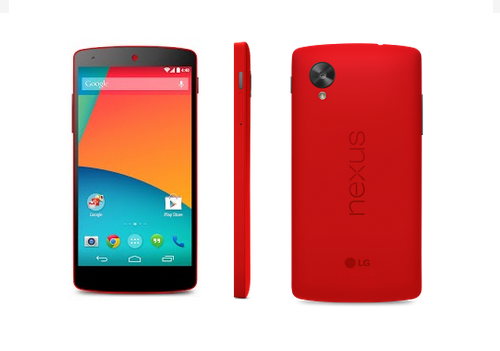 Design — Nexus devices have always been rather conservative in the design department, and the Nexus 5 is no different. It maintains the general shape that’s come to be associated with Nexus handsets, but doesn’t offer any interesting features or design characteristics. It’s a fairly boring handset to behold. Availability — Last year’s Nexus 4 was a hot ticket item, and the Nexus 5 is following right in the N4’s footsteps. Google made the Nexus 5 available in the Google Play Store Thursday, and the 16-GB models are already sold out. The 32-GB models have shipping times of two to three weeks. If you want a Nexus 5, be prepared to wait for it. Expandability — The Nexus 5 comes with either 16 GB or 32 GB of storage built in. It does not include a slot for microSD memory cards. That’s a shame, but not unexpected. It means HD video lovers will need to more closely manage how much content they store on the device. No Verizon — For whatever reason, the Nexus 5 is not compatible with Verizon’s network. The version being sold by Google is compatible with the networks run by AT&T, Sprint and T-Mobile in the U.S. The device can also be purchased directly from Sprint or T-Mobile (though with a contract required). There’s no word from either Google or Verizon on why the nation’s largest carrier is skipping the Nexus 5. Camera — Google says it improved the camera on the Nexus 5, but it said the same thing about the Moto X’s supposed good camera. Its track record with cameras isn’t that great. The Nexus 4’s chief weakness is its camera. The Moto X, made by Google, also has a weak camera. Let’s hope the optical image stabilization, wider lens opening and HDR feature make real-world improvements on the Nexus 5. Battery — Another Nexus weakness has been battery life. The Nexus 4 has abysmal battery life. The Nexus 5 has a sealed 2,300-mAh battery inside. 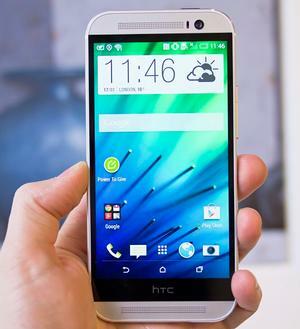 It says the phone offers 17 hours of talk time, 8.5 hours of Wi-Fi Internet time and 7 hours of LTE Internet time. This is another feature that will need real-world testing to confirm. Go on buying the nexus 5 . But if the shop keeper tries to cheat you , you will know !